It is Garou, of course! Hooray! 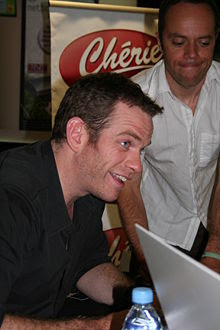 Somebody else who know Garou! I couldn't believe when I was in France the number of amazing French Canadian singers that were completely unknown to us English Canadians. What a shame. I'm going to write a post on it soon and try to introduce people to Isabelle Boulay and Lynda Lemay..any other suggestions?